This image reveals the distribution of dark matter in the supercluster Abell 901/902, which is composed of hundreds of galaxies. The image shows the entire supercluster. Astronomers assembled this photo by combining a visible-light image of the supercluster taken with the MPG/ESO 2.2-metre telescope in La Silla, Chile, with a dark matter map derived from observations with the NASA/ESA Hubble Space Telescope. Hubble cannot see the dark matter directly. Astronomers inferred its location by analyzing the effect of weak gravitational lensing, where light from more than 60 000 galaxies behind Abell 901/902 is distorted by intervening matter within the cluster. Researchers used the observed, subtle distortion of the galaxies' shapes to reconstruct the dark matter distribution in the supercluster. 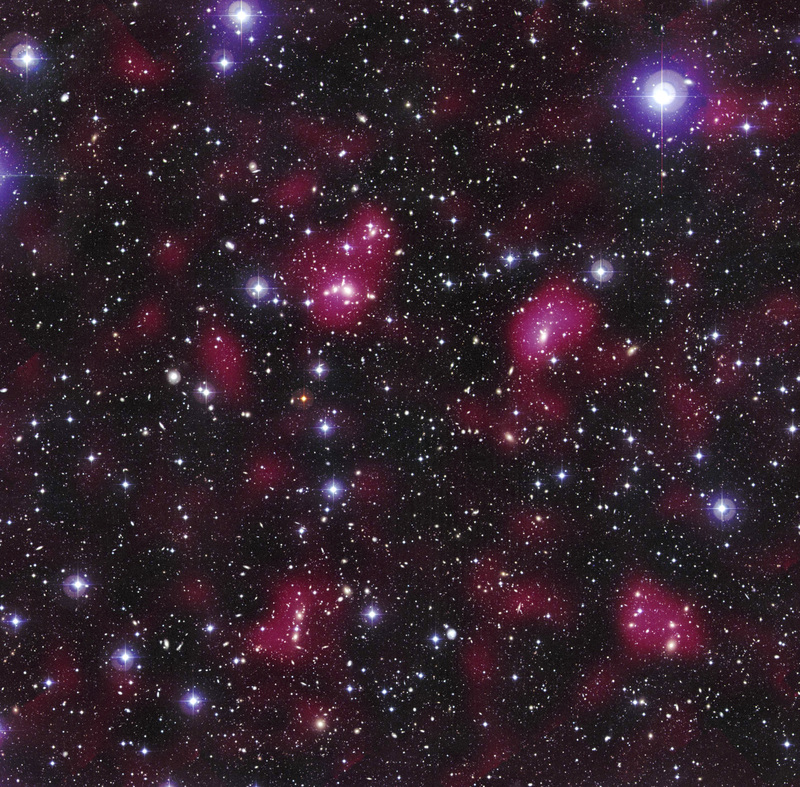 The image is part of the Space Telescope Abell 901/902 Galaxy Evolution Survey (STAGES), which covers one of the largest patches of sky ever observed by the Hubble telescope. 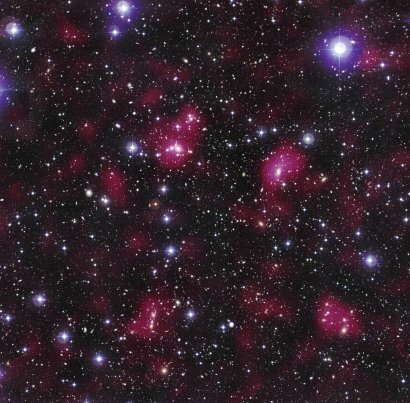 The area surveyed is so wide that it took 80 Hubble images to cover the entire field, measuring about 0.5°×0.5° on the sky.